Judging by the fact that unknown persons attacked Khamroev repeatedly with FSB of Russia searching and interrogating him, his activities extremely irritate the special services of Russia and Uzbekistan. Khamroev has no doubts that they work jointly organising the persecution of "dissidents" (whose people are utterly remote from politics in the majority of cases). The human rights defender told Fergana about the situation with the protection of the rights of labour migrants in Russia today. - During the time of Islam Karimov, Uzbek and Russian special services worked in close contact. More than a year has passed since the change of the leader of Uzbekistan. Have the Uzbek authorities changed anything about their compatriots living in Russia during this time? Is it possible to speak of any weakening of control over them? - The control remains because the system itself has not changed. Relatives of those persons who were deported from Russia to Uzbekistan charged with extremism still cannot find them and do not know anything about their fate. Either they learn something only when the verdict of a trumped-up criminal case pronounced. In this regard, Karimov's departure and the arrival of the new leader have not changed the situation. However, after Shavkat Mirziyoyev came to power, indeed, several elderly and sick political prisoners were released, but this was done only for the people to trust the president. Simply people released by their physical condition cannot reverse the situation in Uzbekistan for the better. After the president's statement about the revision of criminal cases of some of the repressed, many believed him and returned to Uzbekistan. Some of them got arrested, and their fate is still unknown. For example, there was a non-extradition decision to Uzbekistan by the European Court of Human Rights (ECtHR) about Akrom Sherbekov, Iskandar Suyunov, Akmal Maksutov, but Russia handed them anyway. It should be noted that in recent years, Russia has become more active in deporting citizens of Uzbekistan violating local and international legal norms. 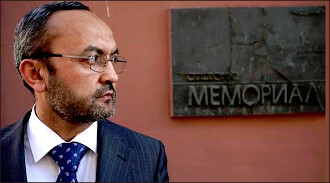 About Akmal Maksutov, a court hearing was to be held on 27 August 2017 on a complaint about the decision of the district court to remove, but the previous morning he was sent to Uzbekistan. Even his family does not know what became of him afterwards. So abductions and forced removal of people continue. - Recently, the ECtHR has banned Russia to extradite the next citizen of Uzbekistan, Ravshan Rakhimov, who was considered a criminal in Tashkent, but human rights activists think otherwise. How often the authorities prosecuted persons on justifiable charges and did they indeed violate the laws of Uzbekistan, belonged to an extremist organisation, "Hizb ut-Tahrir" for example, and so on? - Fortunately, in this case, we could prevent the extradition. Of course, there is a category of people who, in fact, violated Uzbekistan's legislation, were [members] of Hizb ut-Tahrir or other banned organisations. But, in my estimation, that is, by those cases with which I came across, 40 percent of the repressed citizens of Uzbekistan was absolutely innocent, and the cases against them were fabricated. - How much, according to your information, migrant workers from the republics of Central Asia come are deported from Russia? - Recently, many citizens of Uzbekistan are being expelled from Russia to their homeland. And often there are grounds for this, as they violate the norms of Russian migration legislation. But I would not call them malicious violators. Sometimes they are just forced to take these violations, because in Russia their legal status is so deplorable, and criminal cases are fabricated in Uzbekistan against them. For example, Mahmud Kayumov, born in 1990 in Bukhara, has been compelled to stay in Russia since 2013. In 2015, his brother was kidnapped in Russia and sent to Uzbekistan. There is still no information on the fate of his brother. Mahmud's parents in Uzbekistan were repeatedly searched by intelligence officers, interrogated the mother and the remaining minor brother, urging them to testify. As a result, the case against Mahmud was fabricated according to the testimony of his friend, whom the SNB (National Security Service of Uzbekistan) officers tortured. That is a common practice for Uzbekistan when torture forces the son to go against his father, his father against his son, his brother against his brother. Although Kayumov was illegally prosecuted in his homeland, the migration service of Russia at the same time tried in every possible way to extradite him to Uzbekistan, denying him refugee status and granting temporary asylum. Russian courts closed their eyes leaving decisions of the migration services effective. On 28 August, Mahmud Kayumov applied to the Moscow Regional Migration Service for protection and refugee status, which he had previously been denied. The migration service transferred Kayumov to the police which charged him under Article 18.8 of the Code of Administrative Offenses (violation of the rules of entry and stay in the Russian Federation), although Mahmud had a notice on the court hearing on 22 September about considering refusal to grant asylum. As a result, I managed to get the case closed in the Lyubertsy District Court of Moscow Oblast. - If we talk about protecting the rights of migrants, how much is the situation in Moscow different from that in the regions of Russia? - In Moscow and the Moscow oblast, it is easier, of course, for human rights defenders to attract the attention of the authorities and influence the fate of people who have been subjected to such persecution. In the regions of Russia, it is much more challenging to do, unfortunately. We learn about cases of abduction of citizens in the regions only from families who are trying to get at least some information about the fate of their relatives. - To what extent do you think the statements that the so-called "Islamic State" (as IS, ISIL or Daesh is banned in Russia as a terrorist organisation), are deeply rooted in the environment among migrants from Central Asia? Do the Russian authorities any preventive work in this direction? Annually about four million people come to Russia in search of work, of which the overwhelming majority are citizens of the former Soviet republics - Commonwealth of Independent States (CIS), primarily Uzbekistan, Ukraine, Tajikistan, Kyrgyzstan and Moldova. In 2016, the number of labour migrants in Russia amounted to about 11 million people, returning to pre-crisis rates in 2012-2013. At that, only 1.8 million visitors from the CIS had a patent [work permit] for labour activity. For the past four years 1.6 million people banned from entry to Russia. - "So far, IS has no any roots among migrants from Central Asia countries, but there is a very high probability that this may happen soon. First, migrants have no guarantees that they will not be kidnapped and convicted on fabricated criminal cases in their homeland. Secondly, the Russian authorities do not ensure their protection and allow numerous violations of the rights of migrants. Not protected by any of the parties, such people are forced to go to the "field of jihad", saving themselves from death in the "concentration camps" of Uzbekistan and Tajikistan. - From your point of view, the political rapprochement between Tashkent and Moscow can facilitate the life of Uzbek migrants in Russia? - Moscow and Tashkent still have not gone far apart. And I do not want this to happen. Nevertheless, without a joint solution of issues of legal protection of the population, Russia and Uzbekistan are unlikely to achieve success in other areas of cooperation. I want to emphasise that the solution to the above problem backs the development of bilateral relations in general. - You have been living in Russia since 1992 and its citizen. During this time, have there any attempts to bring you back to your homeland? - I was born in Uzbekistan; I was born there, I grew up. I was a citizen of the USSR, then became a citizen of Russia. I was in opposition to the Karimov regime, was one of its leaders. In 2003, Tashkent sent false evidence to Russia that I am a citizen of Uzbekistan, thus attempting to return me to my homeland. But these efforts were brought to nothing, thanks to the intervention of the human rights community. - You have repeatedly been attacked in Moscow for your human rights activities. These facts even let to criminal proceedings. Did they have any development or, as they say, "and the whole thing is wiped out"? - Unfortunately, these crimes are not solved at present. - In recent years, intolerance and xenophobia are growing in Russian society, and totalitarian tendencies are developing in the state. At the same time, with Shavkat Mirziyoyev coming to power in Uzbekistan, at least some signs of civil liberties appeared in the republic. Do you suppose that in the future these countries will switch places in the rating of democratic development? Moreover, the foreign policy situation makes the Kremlin increasingly "to tighten up". - While Russian society increasingly resembles the totalitarian society of Uzbekistan, Uzbekistan itself starts to look at the West. It seems to me that this is the result of work carried out in the post-Soviet space by the authorities of European countries and the United States. For example, many of those who work today in the Uzbek government studied and obtained an education in the West. A lot of specialists have been trained there for Uzbekistan. As for the "tightening up" by the Kremlin, the conduct of such a policy, in my opinion, will testify the decline of Russian society as a whole. - In your opinion, is there any political opposition to the Uzbek leadership abroad, including in Russia, which can be used, for example, by the Kremlin in case of aggravation of relations with official Tashkent? - Abroad, there is no organised political opposition to the current authorities of Uzbekistan. But, I repeat, experts trained in the West and came to power - this is more than the existing opposition. Unfortunately, after the collapse of the Soviet Union, the Kremlin did not work with Uzbek citizens in this direction and did not train personnel, although it had more than two decades to do it and all the possibilities. Unlike the West, Moscow is dealing with old, still Soviet cadres. And now, when Uzbekistan is becoming one of the leading states of Central Asia, the West has a chance to take Tashkent away from Russia's influence.